Form mapping saved for form update? Home › Forums › Pre-Sale › Form mapping saved for form update? This topic contains 2 replies, has 3 voices, and was last updated by Amy Thorne 4 months, 2 weeks ago. I have a client that has 4 existing forms formatted to be sent to PDF. The Terms and Conditions on the forms & final PDFs has to be adjusted for my client’s new hourly rates. Is there any way to upload a new PDF and hit one button so the mapping is done as is currently? So that we don’t have to remap every single field again? All mappings will work. If you make any changes to the PDF field or Formidable Fields, you’ll need to adjust the Field Map Layout accordingly, but you DO NOT need to recreate the Field Map Layout. Let us know if you need additional support as we remain at your service. 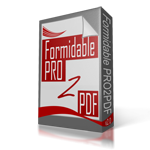 If you clone a form currently integrated with formidablepro2pdf, will the mapping to the PDF transfer as well with the clone? Reply To: Form mapping saved for form update?